When you are planning a meeting or conference, the actual venue you decide upon will largely determine the success of your event or conference and throwing in the wow factor will help sell your conference as a ‘must attend’. 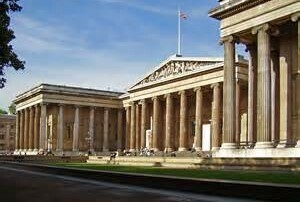 If you are looking for a venue with state of the art facilities and contemporary conference facilities, then look no further than the British Museum. This wonderful venue offers a variety of spaces for both daytime and evening events. Your delegates can even have access to special exhibitions and collections which is bound to inspire and motivate them. Rooms are suitable for conferences, AGMs, seminars, presentations, brainstorming sessions and much more besides. Need a mid-West venue that is impressive and easily accessible? 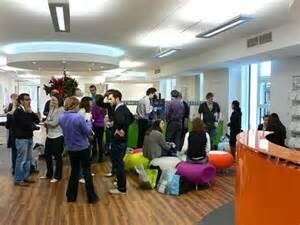 the studio Manchester is a contemporary, vibrant event space suitable for a meeting, conference, party or training event. The layout is very flexible, accommodating from 2 to 220 guests, and not only is there outside space to clear heads (and take in the view of Manchester), there is also a dedicated area to refuel and recharge with TNTs, “tiny noticeable things” that make a big explosive impact on your day, such as brain-friendly lunches, smoothies, chair massage, energiser sessions, toy boxes and much more. Want a venue slanted towards tech experimentors and policy makers and with a wow view? 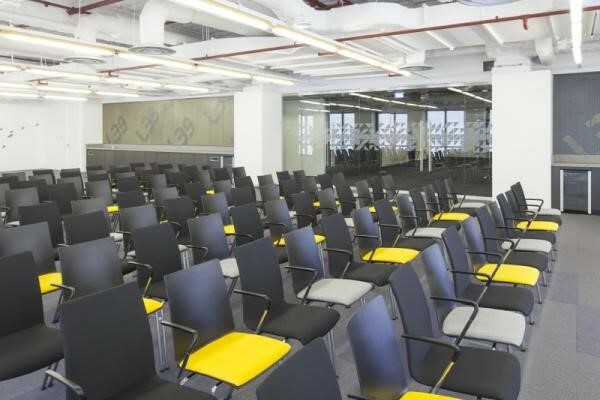 Ideal for conferences, banquets, cocktail receptions and exhibitions, Space 39 is a 220 seat event space that hosts regular industry events and boasts views over the City of London, flexible space and access to comprehensive audio visual equipment. For something historic and prestigious consider a venue such as this world renowned venue usually reserved for private members only. Impressive on many fronts with magnificent interiors housing an unparalleled collection of British racing memorabilia complemented by a magnificent setting, the Jockey Club Rooms provide luxury facilities and dining opportunities and there is ample private and secure parking. Based in the UNESCO City of Film this venue can host a whole spectrum of events and corporate conferences. The Museum investigates and celebrates film, photography, television, animation and new media and is an inspiring venue. The Museum offers a diverse range of event spaces for day time and evening events with an exciting selection of activities. The stunning Museum galleries transform into wow-factor settings for receptions, gala dinners and the like. There is even a Media Wall which can give a unique branding opportunity and there is a state-of-the-art auditorium for presentations or screenings. 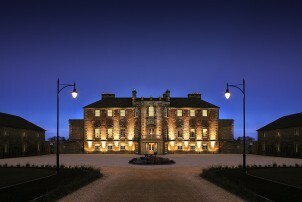 For exclusivity and the antithesis of a hotel, Archerfield Estate is hard to beat. The House and the Waterfront offer incredibly flexible spaces for 50 up to 300 guests with endless options and nothing at this truly outstanding venue is too much trouble. Situated only 40 minutes south of Edinburgh International airport along the East Lothian coast, this venue has hosted high profile meetings plus world media product launches. There is an abundance of outside space, 27 acres for exclusive use for invigorating activities for your guests and the links courses offer another outlet for entertaining and/or taking a break from decisions and policy making. This former monastery is an utterly unique venue which will lend an air of divine inspiration to your conference or event. This historic and architecturally remarkable venue can provide a suitably inspiring environment for all manner of corporate functions. Stanbrook Abbey can host up to 300 guests supported by state-of-the-art AV equipment for presentations, fine wining and dining and a wide range of exciting activities. The perfect venue for brighter thinking and a clearer vision. Hiring this island fortress for exclusive use makes this a venue with the serious wow factor. It can only be reached by boat skippered by your ‘own’ crew, so be prepared for many a superlative on your feedback form. 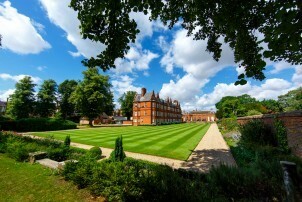 Such privacy and exclusivity is only 1 hour and 40 minutes from London. This luxury venue is for the small but perfect corporate event and is equipped to the highest standards with features that include an open air hot pool, sauna, wine cellar and games rooms. There are also activities available for all tastes from fishing to RIB rides. 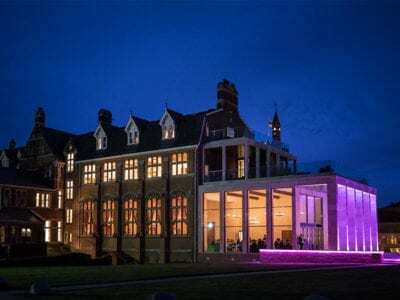 The reason for this venue making our Top Ten is its fascinating history and because the space itself is unrivalled in terms of possibilities and flexibility. This contemporary venue provides a blank canvas limited only by your brief and budget. 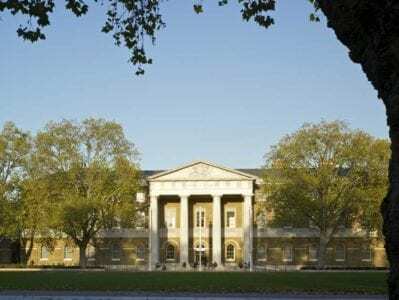 Saatchi Gallery occupies the entire Duke of York’s HQ on King’s Road making it suitable for events up to 1,500. You have the option of exclusive or partial hire based on your requirements which also makes it suitable for smaller exclusive events. Imagine the unique experience of hosting your conference in a space surrounded by the most exciting contemporary art. Sure to be an icebreaker. Do you have a tall order conference venue to locate? 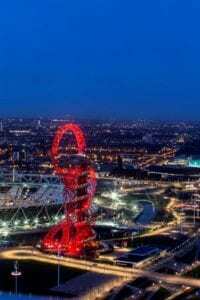 Look no further than ArcelorMittal Orbit, the UK’s tallest structure with award winning event space suitable for up to guests. Commissioned to commemorate the London 2012 Olympic & Paralympic Games, the striking steel tower has become a perfect symbol of brilliance and originality. Choosing this venue for your conference will score you kudos on those two fronts and supported by top notch catering and technology, your event will be nothing short of pure gold.